There are many cosmetic treatments available in the market for treating different skin concerns. But don’t know where to start from? Cosmotree Clinic in Delhi offers free consultation and will help you decide on a treatment perfect for your body and skin needs giving you desired results. There are few cosmetic treatments to get you started. Looking for a treatment to reduce the appearance of your wrinkles or fine lines then Botox is for you. 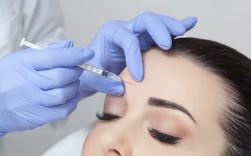 BOTOX is a complicated cosmetic treatment that should only be performed by an experienced and professional dermatologist. Botox is a very safe cosmetic treatment and one of the most popular and quick treatment. 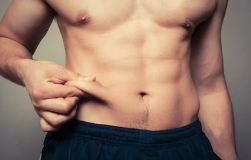 Now get rid of your unwanted stubborn body fat without going under a knife. Coolsculpting is the new big thing in the market for body reshaping. The treatment works by freezing fat cells at a much higher temperature surrounding tissues. Cool Sculpting treatment uses cooling technology to target and get rid of the fat cells underneath the skin effectively. Over time, your body naturally processes the fat and removes these dead fat cells, giving you a more toned and sculpted figure. The treatment is quick with no downtime and recovery time. People can return to their daily activities immediately. Chemical Peel refers to a skin-resurfacing treatment in which is performed by Dermatologist by applying a chemical solution to human skin to peel away the top layers. If makes skin smother and brighter. It is mostly used to treat the scar, wrinkles and skin discoloration. Chemical Peel majorly divide into three parts; light, medium and deep. Dermatologist will give you the treatment according to your skin needs. 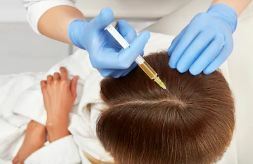 In modern days, PRP Therapy is the popular and effective treatment for hair loss. PRP treatment is the three step process in which surgeon uses your own blood to help facilitate hair growth. So, there is very less chance of side effects of this treatment. So, if you are suffering from hair loss, then you should consider PRP Therapy. Cosmotree Clinic offering 40% discount on PRP Therapy in Delhi this month. Schedule an appointment now and get the effective PRP treatment in Delhi now. Imagine not going to parlours for your unwanted hair problems and enjoy smooth skin for a longer period of time. Unwanted body hair can be very annoying and hard to get rid of from some areas like face and bikini etc. Laser hair removal is an effective and a convenient option to get rid of the unwanted body hair. The treatment works by emitting intense light beam on the unwanted hair follicles and destroy them. It works on the principle of Selective Phototheroylsis (STPL) which means treating only the specific area without causing any damage to the surrounding skin tissue. Cosmotree Clinic offers best laser hair removal for effectively getting rid of the excessive unwanted body hair. We use the finest lasers available which are also FDA Approved. It is not a single session treatment and may require few treatments. Most people need at least 6 to 8 treatments for best desired results. It is almost a painless treatment though many people describe the feeling like a hot rubber band snapping against the skin. Thanks to technological advancements now, anyone can safely have laser hair removal with effective results. Cosmotree Clinic offer the best laser hair removal treatments in Delhi/Gurgaon and Mumbai. Dermatologists use the finest of lasers which are USA Approved to get rid of unwanted facial and body hair safely and effectively giving you the best results in the shortest period of time. This entry was posted in PRP Treatment in Delhi, Skin Treatment in Delhi, Skin Treatments and tagged Botox, Botox and Fillers, Chemical Peel Treatment, Laser Hair Removal, Laser Hair Removal in Delhi, Liposuction Treatment in Delhi, Skin Treatment in Delhi, Weight Loss Treatment in Delhi. Bookmark the permalink.